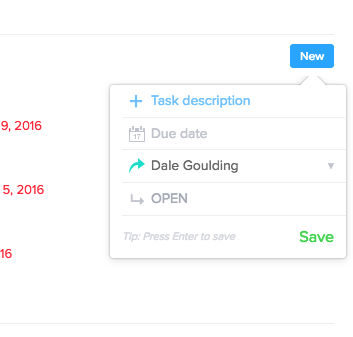 Tasks can be used to support your day-to-day workflow. Tasks allow you to prioritise objectives by time and make sure that you get reminded when it is due. 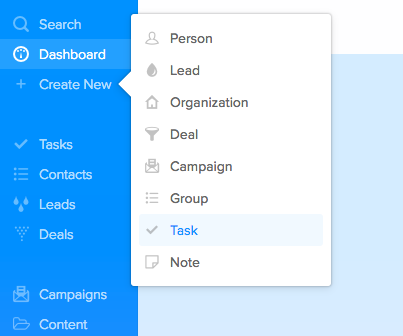 You can create tasks against all types of records in SalesSeek and you can assign them to yourself or any other user in the system. When you are set a task by another user, you will also receive an email notification alerting you to your new assignment. You can manage your notifications in 'My Settings' > 'Email Notifications'. Click on 'Tasks' when on the page click on 'New' in the top right of the screen. Create Tasks from a Record. 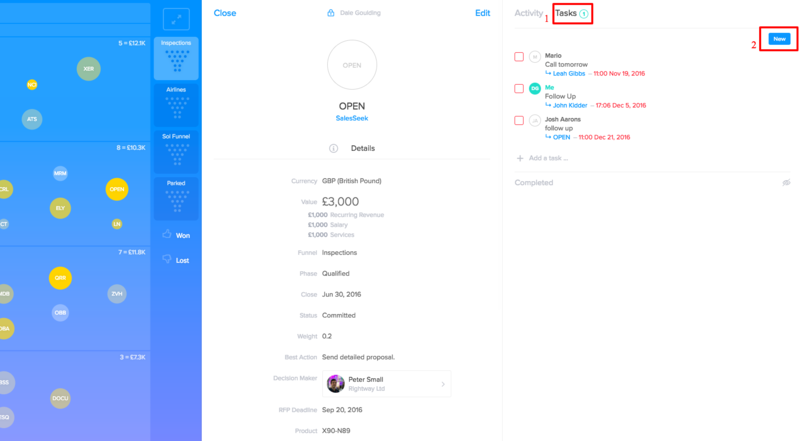 When viewing a record, behind the 'Activity Feed' there is the 'Tasks' section. In the top right of the screen click 'New' to add a new task related to that record. The description is what needs to be performed eg. follow up call. The due date, is when you would like the task to be actioned. The record is either the individual, deal or organisation for whom the task is set against.